In an exclusive to E:60, longtime NBC host Bob Costas revealed why he wasn’t on the network’s Super Bowl LII coverage last year. It was pretty much what everyone assumed, that Costas’ comments about playing football having a connection to brain damage got him taken off the game. 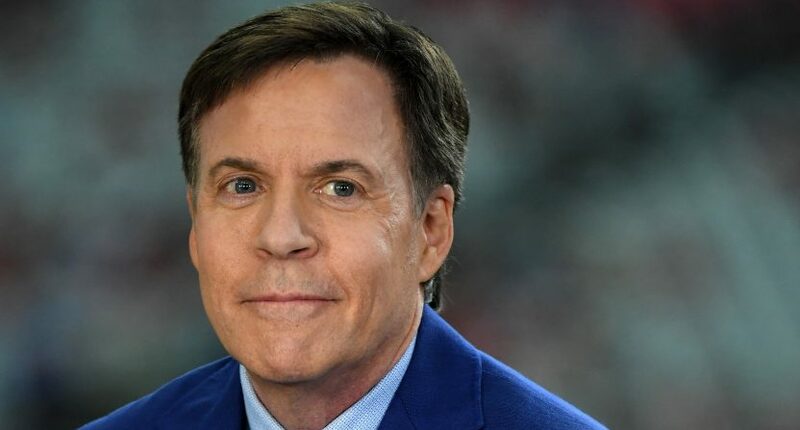 Since it wasn’t apparent in the video, one could speculate that it could have been due to Costas sometimes going political in his weekly commentary during Sunday Night Football. Instead, Mark Fainaru-Wada expanded that this focuses on Costas’ comments about head injuries and football.
.@Our @OTLonESPN exclusive airs Sunday on @E60: Bob Costas reveals how his comments linking football to brain damage got him yanked from last year’s Super Bowl. Awesome work by producer Dave Lubbers and editor Jason Anthony. Story for https://t.co/GQUBn2fjgO also Sunday. With NBC hiring Mike Tirico, the obvious plan appeared to have Tirico slowly step in as NBC transitioned from Costas to Tirico as their host for their prominent sports events. In 2017, Tirico was named host for the Olympics starting in the 2018 PyeongChang Games. Because of that, Tirico was going to skip the Super Bowl that year so he could focus on the Olympics. Many assumed that meant Costas would be put in as host for the Super Bowl but that didn’t happen. A little over a week before the game, it was announced that Liam McHugh and Dan Patrick would host and Costas wouldn’t be anywhere on the broadcast. Even though Costas tried to cool things off and explain that it was simply rewarding McHugh and Patrick for their work over the entire NFL season, many on the outside thought there was more to it than that. The assumptions about those comments at that roundtable seemingly wound up being true, according to Costas and after a year has passed, we’re now getting closer to what happened. Or at least, we got Costas’ side of the story. This may not have been the clincher but it seemed like this was the beginning of the process that resulted in Costas leaving NBC after nearly four decades at the network. E:60 will be on Sunday at 9 AM ET on ESPN with a story posted on espn.com.